Okay, hold up, what the heck are nano particles?! How do they relate to solubility?? Well, nano particles are microscopic particles where at least one dimension is less than 100 nanometers (nanometers are one billionth of a meter) and they have a narrow size distribution. Basically, they're extremely small bits of stuff. Dr. Ananya Mandal from MIT defines them as "a small object that behaves as a whole unit in terms of its transport and properties." 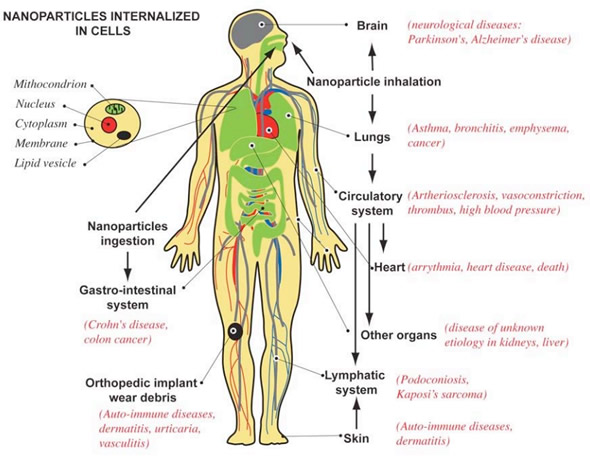 Nano particles are used in multiple different ways, primarily in the biomedical, optical and electronic fields - but also in some ways you'd never expect! One cool way that nano particles are used is within your own clothing! Silver nano particles are often added to fabrics due to their ability to kill bacteria. They are also commonly found in cosmetics, soaps, personal care products, etc. When oxidized, the nano particles shed toxic silver ions, which knock off any bacteria. Theses charged ions of silver can interfere with important processes in living cells. As a result, key populations of bacteria and microorganisms could be severely damaged or mutated in soils and aquatic environments. This is concerning because when these ions reach the environment and dissolve, they could have harmful effects on the ecosystems upon which our food system depends. And as our global population grows, the release of silver ions into the environment is also expected to expand, via waste treatment and industrial processes. 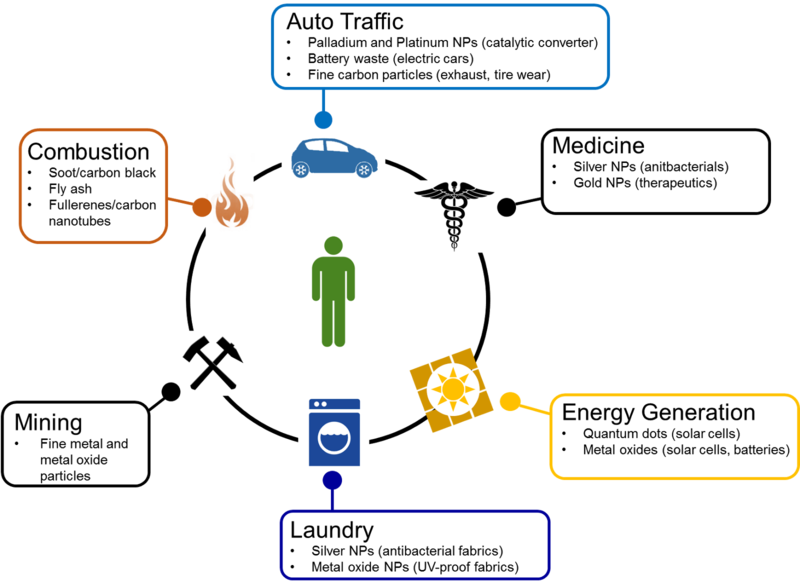 Pathways by which man made particles are released into the environment. As well, bacteria aren't the only species at risk from the dissolution of silver ions. Larger creatures could directly or indirectly ingest them as well, for example, through the gills of a fish or the skin of a frog. We ingest them as well, through our food but also absorb them through our skin and breath them into our lungs. For larger animals however, the effects of silver ions has not been thoroughly studied and most likely varies based on mass, species and numerous other variables. As such, further research is needed to truly asses the dangers of silver ions on our environment. Recently, scientists Peter Vikesland and Ronald Kent from the Virginia Polytechnic Institute have developed a new technique to study how nano materials dissolve in aqueous solutions. The goal is to help other scientists predict the effects of these nano particles on the environment and design safer materials. Other studies have examined the effects of groupings of nano particles, but not the singularly. Seems like it wouldn't matter, but think about it this way: a single snowflake melts a lot faster than a shovelful of snow. Their new technique focuses on how the particles dissolve alone to figure out how fast each individual one could shed ions. The biggest advantage to the procedure is that it allows the particles to be studied at similar concentrations found in the environment. Their conclusions will then be much more useful in the "real world". The researchers fix silver nanoparticles at intervals along a glass surface, then expose them to different concentrations of sodium chlorides for two weeks. Then they examined changes to their size and shape. Their results suggest that chloride speeds up the shedding of silver ions from the particles, without forming sodium chloride. Dr. Bernd Nowack, a chemical engineer from the Swiss Federal Laboratory for Materials Science and Technology, says he can "envisage it eventually being used directly in the environment, in rivers or wastewater, for instance." In my opinion, as dry as it sounds, this new technique seems to be pretty interesting! Especially with our growing global population and increasing pollution levels, understanding the effects of the materials we're using is very important. I find it pretty hard to believe that all these substances, not just including nano particles, are currently used without a comprehensive analysis of their long term environmental or health consequences. I also believe that more research is needed to fully understand nano particles and the effects of silver ions on the environment. Further studies are also needed to explore the effects on other basic forms of marine life; algae for example, or water fleas, as some experiments on them have shown that the individual coatings on different nano particles could be a 'driving factor of the toxicity'. 1. Why do you think silver nano particles would shed ions? What is this process called? 2. 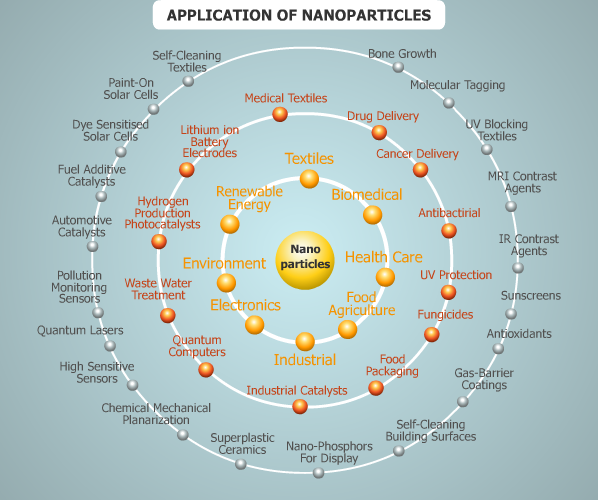 Can you think of any other applications of nano particle research? Why is this field so important? 3. Why does it matter if some bacteria get a little mutated or die off? We don't eat bacteria, right? So why should we care? 4. What would you tell someone who didn't believe in the risks of silver ions?